Nicolas Winding Refn's upcoming series Too Old To Die Young bows on Amazon Prime in June and we just got a trailer this afternoon. Oh our gods, it's full of stars. So pretty. So neon. So violent. So very Refn. We can hardly wait. Have a look. A grieving police officer who, along with the man who shot his partner, finds himself in an underworld filled with working-class hit men, Yakuza soldiers, cartel assassins sent from Mexico, Russian mafia captains and gangs of teen killers. 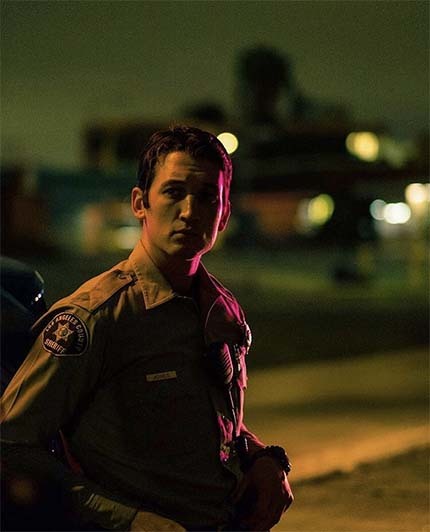 Too Old To Die Young stars Miles Teller, Billy Baldwin, Jena Malone, John Hawkes, Cristina Rodlo, Augusto Aguilera, Nell Tiger Free, Babs Olusanmokun and Callie Hernandezis. It is coming to Amazon Prime on June 14th.